It’s common for oily skin to have a tendency towards open pores, but a face with large pores doesn’t look very good. Open pores are very obstinate and hardly show any signs of shrinking. 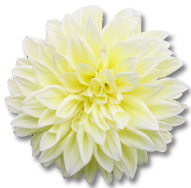 Besides, age also takes its toll by making the open pores even more prominent. Although it’s not easy to get rid of them or shrink them completely, a few natural homemade face masks and tricks can minimize their appearance and give you satisfactory results. Take a look! After cleaning your face with a face wash, splash ice cold water over your #face. The cold constricts the facial muscles and shrinks the open pores temporarily. Alternatively, wrap an ice cube into a towel and gently rub it over your face. Egg whites are excellent pore-shrinkers. Beat an egg white, add a teaspoon of lemon juice, apply this mask to your face and wait until it dries. If your #skin is too sensitive, skip the lemon juice. Wash it off with lukewarm water and splash some cold water on your face. 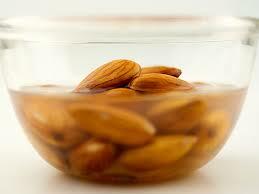 You can also soak a few almonds in water and grind them to a paste. If you want, you can add 2 teaspoons of lemon juice to this mixture. After 15-20 minutes, wash it off as usual. Besides shrinking the open pores, this face mask will also lighten your #complexion. 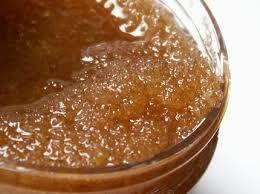 A sugar scrub can also help you minimize your open pores. Take a teaspoon of olive oil, honey, lemon juice and a few sugar crystals and combine them. Rub this mixture gently over your face. Wash it off and apply any of the above mentioned #masks. Or, you can just wash your face with tepid water and splash it with ice cold water.